This product marketing guide helps CMOs, customer success managers, product, email, and content marketers at SaaS companies design their products for growth. How to choose a marketing model, how to design your product to convert more users and clients, and how to scale your business when needed. This blog post is long (10k words!!!) 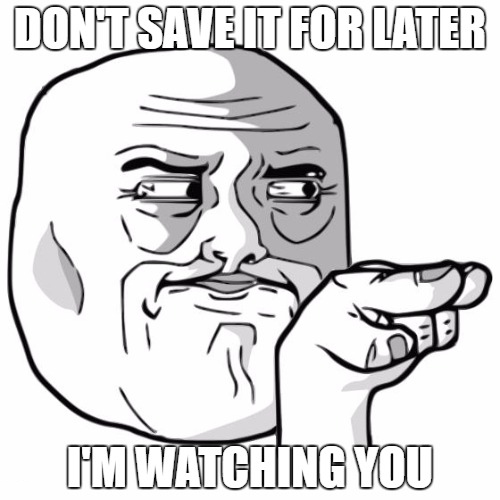 therefore you can save it for later reading by clicking here. The fate of long, deep-diving ebooks is that you save or bookmark it for later reading. But you NEVER OPEN IT AGAIN. So please, we tried to put our best into this guide – give as much information that is possible and spent lots of days on it. Read it at least ONCE and use what is useful for your business. Ok, maybe not right now but later… Promise me. It pays off. This guide is intended for online marketers, CMOs, product marketers, inbound marketers, customer success managers, content marketers, email marketers and marketing automation specialists at SaaS companies. You just got started with your SaaS application? Or about to scale up your business? You are at the right place: get started with product marketing right now. How to get the most out of this guide? Product marketing is a must-know term for tech companies. Your marketing activity should be aligned with product development. Therefore you will be able to establish a growth engine to your product. Tech companies usually knows that developing their products need to be based on market knowledge. Why would you develop something that nobody wants? Product marketing is a function that touches marketing, sales and the product itself. A product marketer prepares a product launch: does customer development, establishes the market positioning of the company and creates messaging like announcement emails. After launch a product marketer: drives demand and usage of the product and always thinks about the market itself and how to gain competitive advantage. positions the product on the market. Product marketing is just a notion. It means you define the core values of your business have and build a whole strategy on it. Usually, product marketers focus on the BOFU (bottom of the funnel) stage but directs the whole marketing and sales processes of the upper stages too. This guide will emphasize a few very important aspects of product marketing – how to get started, what are the basics and how to scale your business that is truly aligned with the most important aspects. Product marketing combines the advantages of customer success, product development and inbound marketing. Many companies pivot (change business model) after they see real users actively using their product. It is truly a data-driven approach. How is product marketing related to any other types of marketers? As you will read late in this guide, SaaS companies’ marketing should be designed in an inverse way: from the heart of the company (which is your application). Therefore every marketer take part in product marketing at tech companies. Even you and even if you handles only the content strategy. The “heart of the company” is your product, your application. Just keep on reading about product marketing. 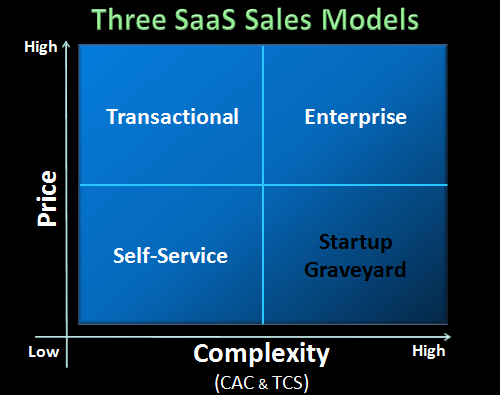 Before digging in the complete and detailed overview of saas marketing let’s start with the most important thing: You have to choose your business model wisely! Because you have only 3 good choices and 1 very bad. There are 2 big factors that influence your business model and marketing strategy: the price of your service and the complexity of your offer. Let me explain why. If you have high prices (for instance your clients pay you half million USD per sale) you have to manage a lot of reactions and fears of your clients: Purchasing requires high commitment from you customers, which needs high trust level in your company, which means personal meetings and less number of deals in a certain period of time. Therefore it is logical that you have to work with sales reps in order to sell. But if you have lower prices (for example 99 USD/month) you don’t have to meet your prospects personally. It requires lower commitment from them (the amount of money you ask from them is not that scary at all), therefore you don’t need high trust level. You can automate your processes to bring in high volume and do business almost automatically, online. Firstly it is important to define what complexity means in this case. Just to have the context of the notion, we don’t speak about technological complexity. Your service is not neceserally complex if it is from the technology perspective. For example, Buffer has complex technological solutions BUT it is really easy to understand the BENEFITS it gives for prospects. So complexity here means that your prospects can shortly and easily understand the benefit you provide and it doesn’t require a big effort from them to use it. Let’s see an example: If you offer an ERP system you need to make your clients change their processes and work on the integration for months. So it means that the velocity of your sales will be less: I mean converting prospects into customers will take much longer and the sales efforts will result in less number of closed deals. A higher cost of acquisition, more support work and so on. Why? Because your clients need to invest a lot to be able to reach their desired end result with your service. So it requires high commitment (therefore high trust in your company). But if your product is “simple”: easy to understand the real value of it and your prospects can easily use it, your sales cycle will become much shorter. You will have more closed deals in a certain period of time, less support work, lower cost of acquisition and so on. If your product is more complex, you have to ask for more money and you will end up in less closed deals. If your product is less complex, you can have lower pricing strategy and in return, you’ll have higher sales volume. This is why you can decide which path you should follow from the 3 main possible options. Choose the forth one and you’ll surely fail. For the high price and high complexity, you’ll choose the enterprise path. For the high price and low complexity, you will choose a transactional strategy. For the low price and low complexity, you will choose a self-service solution. For the low price and high complexity you will simply die. Sorry. 50% of companies are using digital marketing, but they don’t have a product marketing plan! – according to Smart Insights and TFM&A. It is a big problem because, without a comprehensive strategy in mind, you won’t be able to grow and improve the metrics you want. 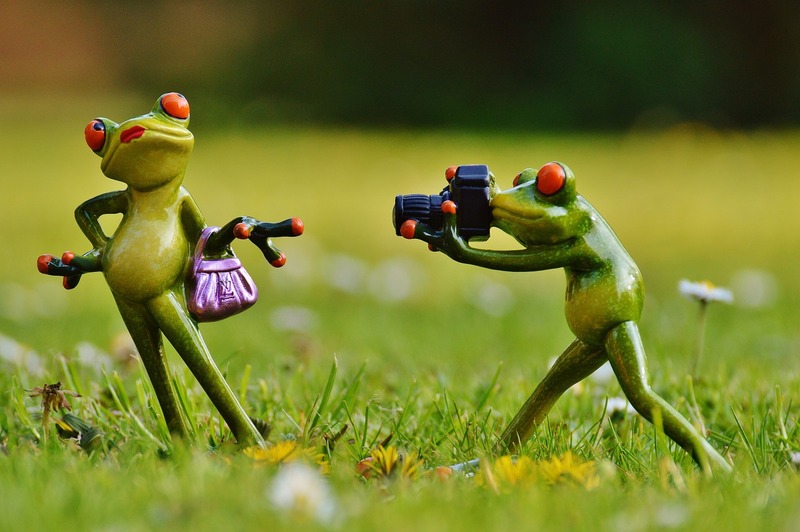 So start from the beginning: sit down and create your buyer personas! The buyer persona is a member of your target group, a fictitious profile based on real data. The profile of the buyer persona is built on lots of inputs, feedback and information coming from your prospects. This way you can identify who are your prospects really: what are their pain points, what do they do, what challenges they usually face at their job places, etc. Never mix it up with the target market or target segment. Your target market is the specific market you try to sell to. It can be an industry, type of people, anything that tells you where you should focus your marketing efforts. But the buyer persona is different. You can have 1-3 target segments but 2 or even more personas in every segment! Just think about it: you segment your possible prospects according to their company’s industry. But you don’t think that every prospect will behave the same way in a specific segment, do you? This is why you create and continuously refresh and upgrade your buyer personas: as you learn more and more about the market, you will see that specific types of people will be more open to your service. 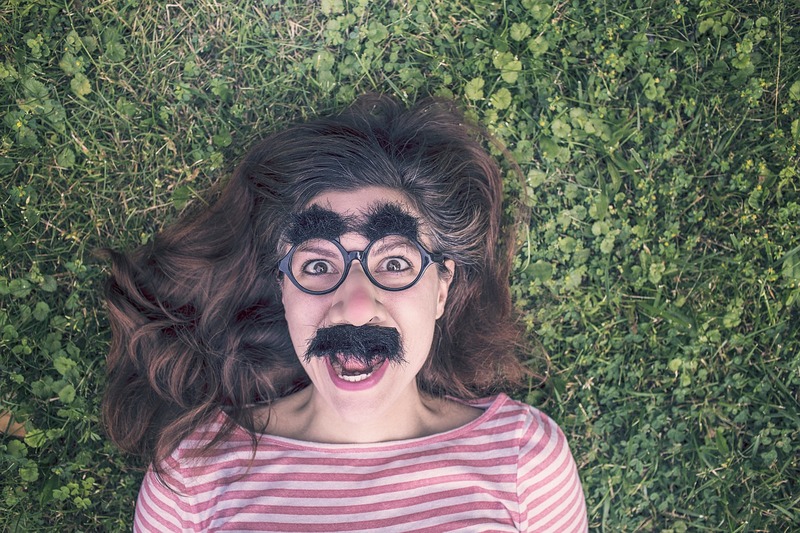 How can buyer personas help? If you understand your personas well, you will know their real and most important pain points. Therefore you will be able to offer them very valuable contents because these free articles, case studies (or anything that is consumable) are highly specific and highly targeted to these pain points. Just think about this not as a marketer but as a buyer. You know that you need something that will help you save time by simplifying one of your activities. 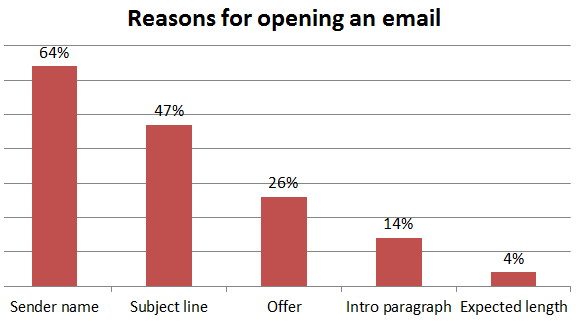 Let’s say you don’t know how to write your offer emails that truly convert. So you search on Google or just scrolling your feed when you see an article that promises 5 pre-written email templates with copy and detailed explanation. In addition, after reading the article (and you find it valuable) you can download the copies of the emails for free! That is the point when you download the email templates from a landing page and you don’t mind that you give your email address in return. (Therefore you are converted from a stranger to a visitor, then from visitor to lead from a company’s point of view.) Speaking of landing pages, check out this comprehensive case study guide on two popular landing page tools, Clickfunnels Vs Leadpages. Why did it work? 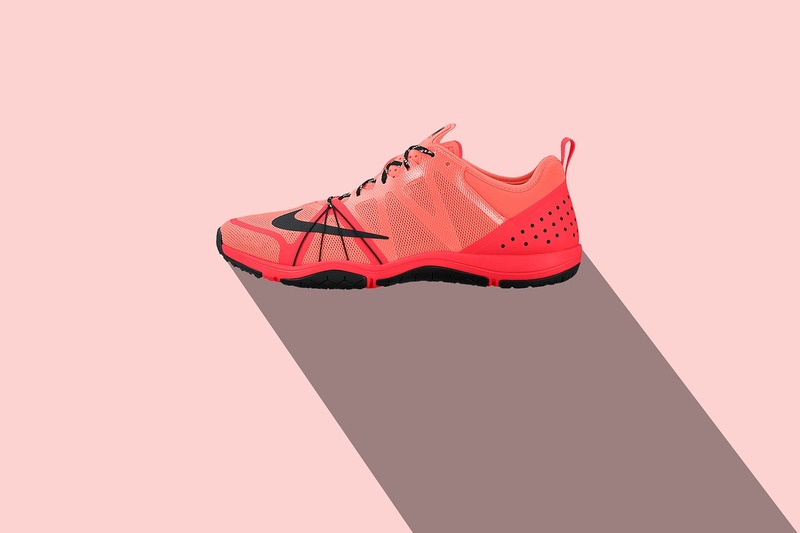 Because the ad or the content was specific and highly targeted – the article gave you knowledge, the templates saved you time by giving away the templates. Step 1: Just grab pen and paper and consider the average buyers from your target group. It shouldn’t be more than an A4 paper: you should only cover the key information. Step 2: Gather the relevant information you have. Such as what type of free contents he downloaded, what did he buy, opted-in for? This way you will be able to draw conclusions about his pain points. Step 3: Discuss the topic with your colleagues, especially with sales people (if you have in your company). Hold a brainstorming session with relevant people in your company (for instance customer success managers, sales reps, etc.). Step 4: Don’t mind if you have more buyer personas after the process. But always use only valid data and sign the assumptions you have. In order to check those assumptions, utilize lean customer development methodologies and validate them. Just keep in mind that developing your buyer personas is a progressively ongoing process and it is never finished as product marketing itself is never finished. Common sense is right: every industry, every company, and every solution are different therefore there is nothing like a template if it comes to planning your marketing funnels. Although there is a “secret sauce”, an approach of product marketing, and mindset that can and does help software as service companies grow faster! But I share a framework for you that will surely help you grow your set of leads faster and will certainly create more loyal customers if applied the right way. Everything is written here requires thinking from you: how you can implement this framework for your actual, unique situation. So basically you convert leads with hooks, then analyze their behavior and based on this knowledge you can decide who are marketing qualified leads. If you have a sales team in your company then you qualify them as sales-ready leads, sell them at the right time and convert them to customers. Now, in order to set this process the right way, just start thinking from the bottom, not from the top! Because this way you can build up your funnel that is really seamless for your leads. Don’t start with creating hooks and contents! Start with thinking about your product! Then start thinking about your next step that is related to your product. It’s even better if it’s part of your product! And only when you have all these things implement a content strategy (or change your whole strategy to fit your funnel). This is where product marketing decides everything for your marketing activities later on. 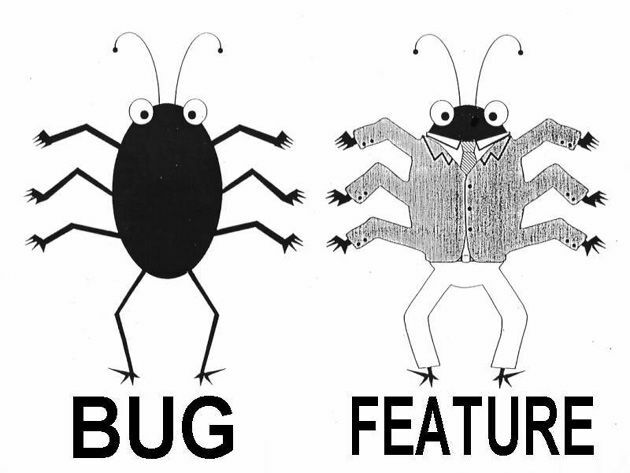 What pain points with which features does it solve? What are the most used features? Are there any standalone, “less complex” features that are used by more clients and solve specific pain points? What are those highly specific pain points that are related to this standalone feature? By utilizing this type of thinking, you will always keep in mind your prospects pain points while always taking in to account the next logical step for them. These are the seamless funnels you build up from the inside. 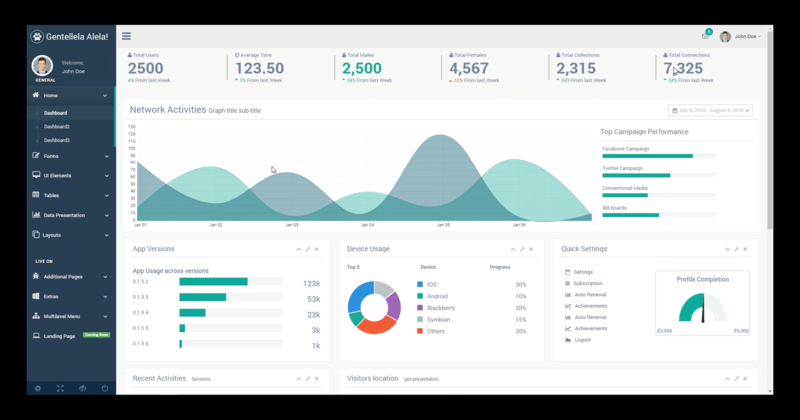 As you have a cloud-based solution, you can track every step your users take. This is the knowledge you need to gather to do product marketing better. Analyzing the data is not just good for product development but can give your marketing superpowers. Why? Well, to answer this question let’s see the process of evaluating your product for marketing purposes. You’re done! And now you might have the answer to your why: you have to do this analysis to be able to decide where to develope more. In addition, you will now by the end of the process what is the journey of your customers until they will be satisfied. It is a big input for onboarding processes! Now that you “know” your core product better it’s time to take a look at a possible standalone feature. If someone would start to use one feature of your product, would it be possible for him to use your whole product? Is your whole product an extension of your standalone feature? If yes, you can create a very specific “product” from your core offer. Also, you can create a new product that is related to yours but it is always cheaper if you don’t need to create a completely new tool. A good buyer converter product has a surprisingly low price with high perceived value. The low price doesn’t mean you should give your customers lower value. The higher the value you provide, the better the relationship will be! But never give a complete solution, if they need that, they have to upgrade to your core product. You distribute the big commitment to small units you ask from your leads. Now think about your buyer converter product. You need to create hooks that are related to it. The more specific your hook the better results you will get in product marketing. 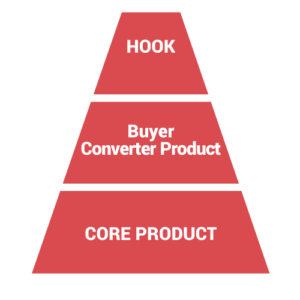 A hook, in this case, is related to or piece of your buyer converter product. But you can create as many types of hooks as you want. You can have case studies, infographics, video, anything, really. The format is not important (later on, you can experiment with the formats but firstly you should have something – that’s the only goal). 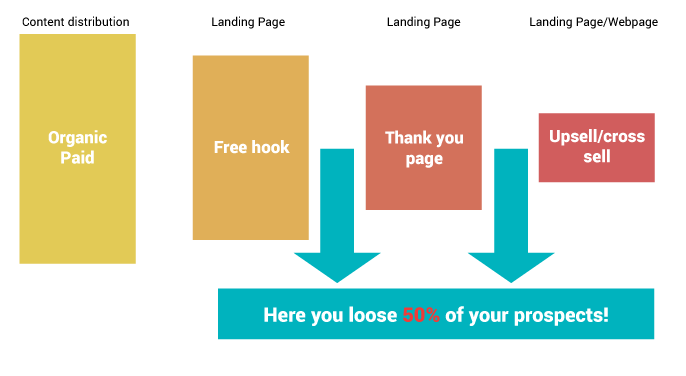 But the most important in your hook is that it gives high perceived value for free and your prospects can get much more out of it if they buy your buyer converter product. As you can see in this example you distribute free giveaways, bonus and gated contents boosted with blog contents that could be interesting for your buyer personas. The prospect clicks on a banner, ad, text link and goes to a landing page. He gives his email, downloads the hook then gets to a thank you page. Where he is offered to start a trial of your buyer converter product (if you have one). If he accepts the offer, he starts the trial and then he can upgrade and pay for the service. 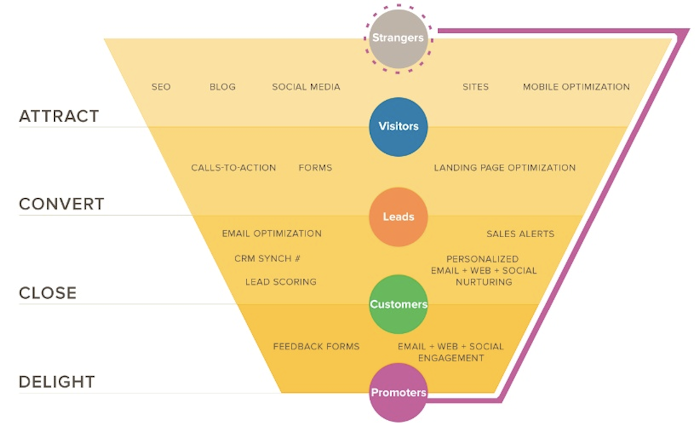 As you can see this funnel completely misses the nurturing and qualifying process! What will this cause? 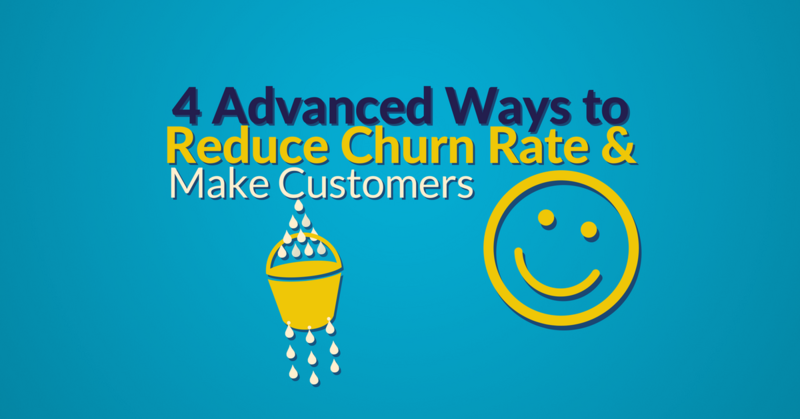 High churn rate! You probably know that according to Marketingsherpa 25% of the leads buy immediately, 25% buys but 50% would buy just later! 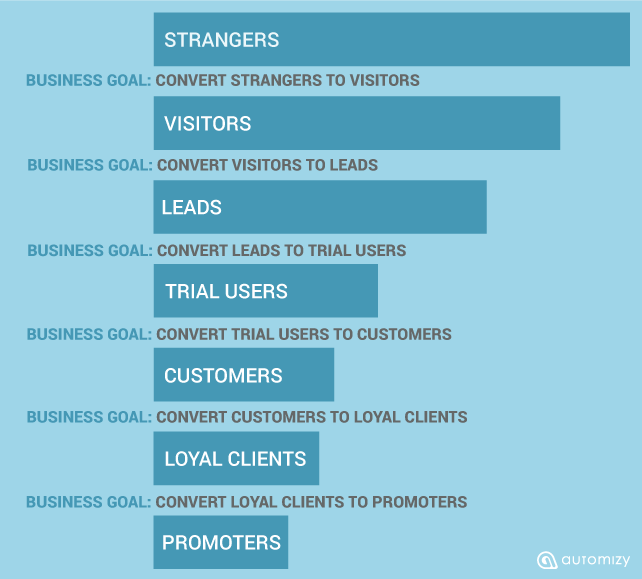 So that’s one thing that you can convert 25% of your leads to paying customers (if you are fortunate) but you leave big money on the table by not trying to convert the rest 50% too. So if you ask me what will decrease your churn rate, one of the most important components stems in the early stages, BEFORE your users or clients are even converted! This is why lead nurturing is one of the most important parts of your marketing efforts: not only will convert more leads but will decrease your churn rate later on. Sounds great, doesn’t it? Now that you see the leaking points in your upper part of your conversion funnel and also understand the real value of lead nurturing, the time has come to take the right steps and fix the bugs. Just by adding lead nurturing workflows that try to help leads who are bouncing off your landing pages move down your funnel. Email sending is a very cost effective solution but you can think of social media messages, calls, personal communication too. The secret sauce is not very surprising: give them a loveable brand and marketing, gifts, articles, education to the challenges they face, the solution you offer them. Be benefit focused. This is where personalization comes in. I’m not talking about that type of personalization when you send them an email with their name, industry or any similar information in it. That is important too but please, it’s just the tip of the iceberg. You can do much better than this. Real personalization is based on data: the more you know about your leads the more you can craft your messages. This is why big data is so trendy these days. But you don’t have to hire a data scientist to start this process. You can start collecting data just by tagging your leads and following their interests (what type of hooks did they download, what type of emails did they open or clicked, what type of articles do they read, what type of buyer persona are they). The real personalization is when you offer these contents according to the lead’s behavior, actions. Nothing new. And the real value comes out of personalization is when you can automate all these processes. Because until that you can collect data and send personalized messages but not at the right time – especially when you are handling a high volume of leads. Therefore automation will help you a lot not just collecting data and sending out emails according to it automatically but it will send the messages at the right time. 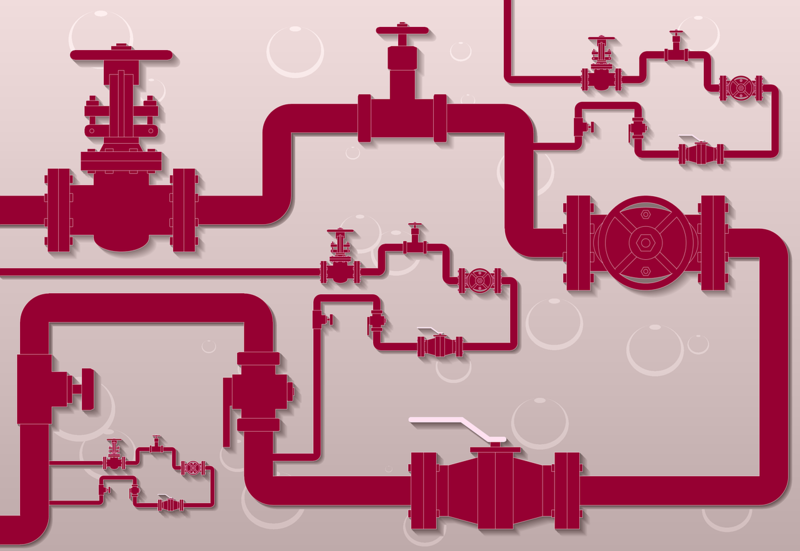 Fix your leaking conversion funnels with Automizy! Click to try for Free! Your contents are petrol in your product marketing. Contents can be blog posts, ebooks, sales emails, visuals, even your pricing page. So even if you don’t run a blog page for your business (but you should), you still have contents. And your contents need to be part of your strategy that stems in your product itself: this is the content marketing you should aim for. As your application defines your business and marketing model, it defines your target audience as well. Therefore it defines the tone you should use and the type of contents you need to share. Buyer personas will help you talk about your service in a way that it is important to your prospects. You have to admit: as your product solves 1 or more pain points, you just speak about these and you offer your help to your prospects – because you have a solution. Your contents should help your audience by providing solutions or giving away information that helps them decide, act or perform better, faster or cheaper. Content marketing for SAAS companies – if you do it well – has lots of positive effects: It not only decreases your customer acquisition cost by educating and nurturing your prospects throughout your whole marketing and sales funnel but also have a good effect on your customer churn rate. Blogging is a good thing to do but it won’t help you decrease your customer acquisition cost if you don’t do it the right way. In order to really be effective, listen to Neil Patel’s great framework of S.M.A.R.T. goals: Be Specific, set up goals that are Measurable, Achievable, Relevant, and Timely. In addition, if you start to think about your contents as funnels, you will be able to write it much more effectively. In addition, you need to understand that blogging is copywriting even if you don’t sell your product there. But you build trust, educate people and make your sales reps (if you even have) a clear path to selling. This is why this approach effective only if you build the process on a product marketing approach. All in all, you need to write in a way that is really sucking your reader in. There are lots of average contents out there. Be better. And generate leads that trust you. Your customer acquisition cost will certainly decrease. 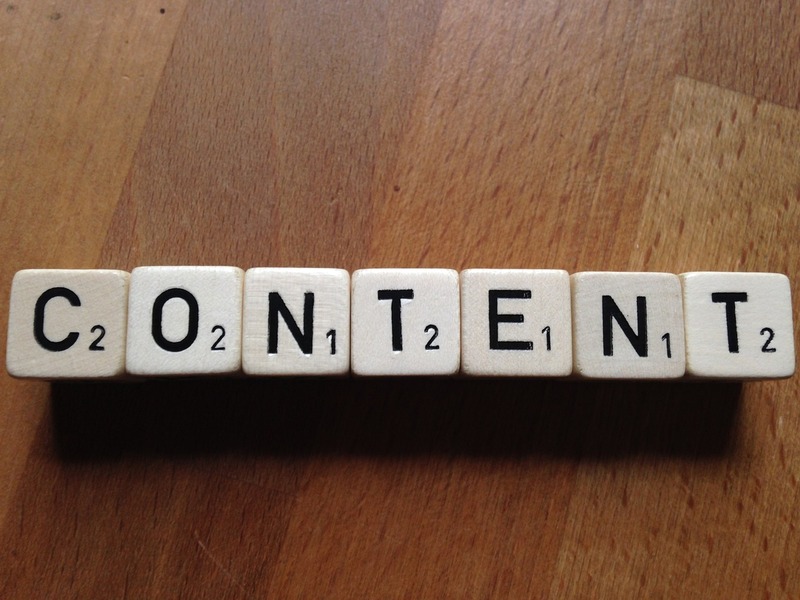 How to know what content to write? Well, if you know your buyer personas well, you will know the contents they want to read. Thank you, captain obvious! But how can you hear about the topics that are interesting to them? Ask your sales reps! They will always know the pain points of your prospects. Ask your customers! This way you will know their pain points better and it will make the feel that they are important to you. Check your FAQ! Those questions are very important because it comes from your clients and prospects. Ask influencers! Just send them messages via social media or email that you plan to write about a content. Ask for their feedback. If they like it, they will share it after you publish it (if you notify them). Or maybe they will suggest another topic that is more relevant. Check Quora! Quora is a place where lots of questions are asked that are not answered by even Google search. Great resource. Creating contents is just one thing but why should you do if nobody reads it? So you have to have a well-developed promotion process. Just to be clear: Content promotion is not spamming your things to forums and communities. The content promotion has nothing to do with emailing random people with your thing. Content promotion is a way of reaching more, highly targeted audiences. Not everybody but your buyer personas! Keyword research is the method of finding the relevant keywords your buyer personas use when they search for something in search engines like Google. Well, it’s a little bit more than that. This guide is not about SEO. There are lots of great guides out there on the topic. You just need to know that SEO will be one of your best channels later on – but you need to start it ASAP. Share your blog contents on your social media profiles. If you’re just starting your blog, ask your colleagues to share, like, retweet them – this way you will be able to have a higher reach. The other great tool is Flauntt. Just add the URL of your blog content into the placeholder and you get your content shared. Of course, you have to share others’ contents in return. Spread the word: share your contents to relevant communities. It sounds easy but you have to find these places yourself for your business! If you’re interested, we collected a big bunch of places where you can promote your content and product. Check the link collection, it is a great place to start your journey of discovery. Please be respectful of the communities you join: do not spam them with your content. Be relevant with your contributions, and be an active user. By the way, you can create great connections by commenting and voting on others’ contents too. Maybe it sounds a little bit weird but finding people on social media who share similar contents to your blog post is great. You can use Buzzsumo for that purpose. Just simply search fo a topic similar to your content and you will find the most shared posts and the people who shared it. If you want a more comprehensive alternative that can do both prospecting and outreach, you can opt for NinjaOutreach. It already has the content and blogger prospecting features down pat, along with viewability of shares, domain and page authority, comments, and other stats. But what differentiates NinjaOutreach the most from other prospecting tools is its capability to let the user crawl for contact info of prospects and send outreach emails straight from the same tool. You can also schedule mass email campaigns and even manage collaborative and other opportunities with your leads. No need to pay for more than one tool to do all these, if you use NinjaOutreach. Next step is to reach out to these people and ask them to share your post too if they are interested in it. Later on, you will gather lots of people sharing your posts that will give your contents incredible visibility. And of course, you have to send your blog contents to your subscribers too. Ask them to share your content on their social media profiles. As a result, not only you will gain higher visibility but you will be able to segment your leads according to their engagement level. A smart solution in my opinion. Scaling your business is not just about spending more money on paid ads. You can do that if you have a good ROI on your ads. But you need to decrease your Customer Acquisition Cost (CAC) and increase customer Lifetime Value (LTV) according to Kissmetrics. You could hire more people to do the repetitive work for you but it is much better if you just simply automate your processes. And this is what Marketing Automation does. Marketing automation is nothing more than a software that automates the marketing processes you already have. Processes like social media posting, lead nurturing, user onboarding, upselling, upgrading, and similar tasks. increase overall revenue by generating more valuable leads, users, and clients. Why is email still better than other channels? “US market executives believe that email alone drives the same amount of revenue as their social media, website and display ad efforts combined.” according to eMarketer and The Relevancy Group. “We discovered that a large majority of U.S. adults — 72% — prefer communication with companies to happen through email.“ – reported Marketing Sherpa. “We found that Americans are practically addicted to email, checking it around the clock no matter where they are or what they’re doing. In fact, more than half of millennials check email from the bathroom! On average, survey respondents report using email six hours a day, or 30+ hours a week. Nine of 10 respondents say they check personal email at work and work email from home. More than one-third report having multiple personal accounts.” – said Adobe. “If you’re wondering why marketers seem intent on e-mailing you more and more, there’s a simple explanation: it works. E-mail remains a significantly more effective way to acquire customers than social media—nearly 40 times that of Facebook and Twitter combined (exhibit).” – according to McKinsey analysis. And there are lots of other stats on the topic proving that email as a channel is still the best way to acquire new users and customers and to increase their value. 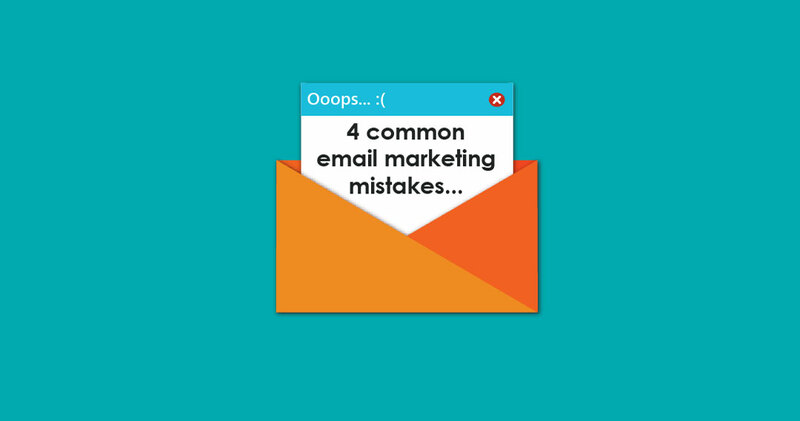 So we really recommend to forget fancy marketing channels firstly and believe that communicating with emails is the most effective way. Later on, you will have the chance to experiment with the other channels too. “Personalized emails improve click-through rates by 14%, and conversion rates by 10%.” – according to the Aberdeen Group. “Lead nurturing emails get between 4 and 10 times the response rate of email blasts.” – says DemandGen Report. When should you implement it? …the time has come to implement a system. Get started easily with Automizy! Click to try for Free! Email marketing automation is only easy if you used it a lot, it saves time only after you set it up, it only increases conversion and sales volume if you do it well! Therefore you need to know how to write autoresponders that work that scales your product marketing efforts. 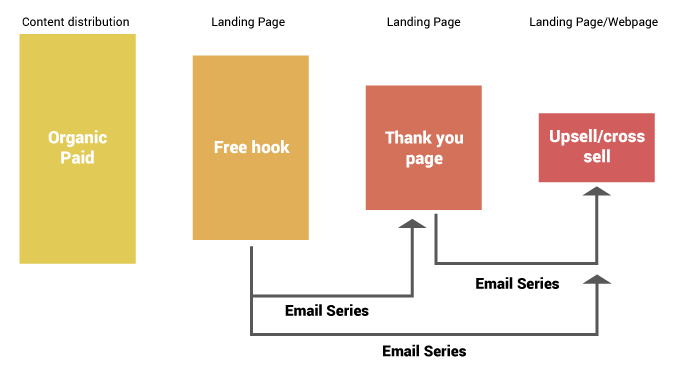 This is why I wrote this guide: it helps you plan and execute an automated email workflow. This email series will give the WOW experience to your first subscriber but it will also give the same experience to the Xth lead too. You don’t have to ever send manually an email to these leads on this topic because the autoresponder does it automatically. You can’t address every business goal at the same time. In addition, in order to send emails to people automatically, you have to make them give you their email address. This is the baseline if you want to know how to write an autoresponder series. Therefore you can address business goals for autoresponders as you can see below. First of all, you have to have at least one buyer persona (if you haven’t done your research yet). Why did I explain this short story? Because if you want to know how to write an autoresponder series that work, you need to understand that in this process you reached success milestones at every point you opened and consumed a content from this company. They could set up this process because they used product marketing. If you understand your buyer persona, you will be able to build up personal buyer journeys for your leads! 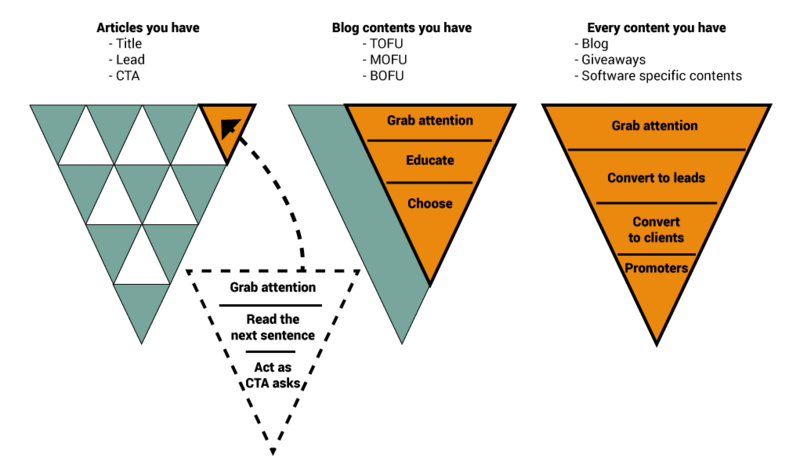 And think about this little part of the journey (lead to high engaged lead, then lead to trial user) as a funnel. And in order to move your leads from stage to stage, you need to serve their needs and help them reach their personal success milestones. Now that you understand your buyer persona(s) and their success milestones, it’s time to design contents that fit these needs. You create your hooks, articles, and every content as we discussed in previous chapters. But remember: if you manage to give MORE than you ASK, you’ll win with your contents. The more interested a lead becomes, the higher engagement you will notice and the higher possibility you will have to convert users and subscribers. 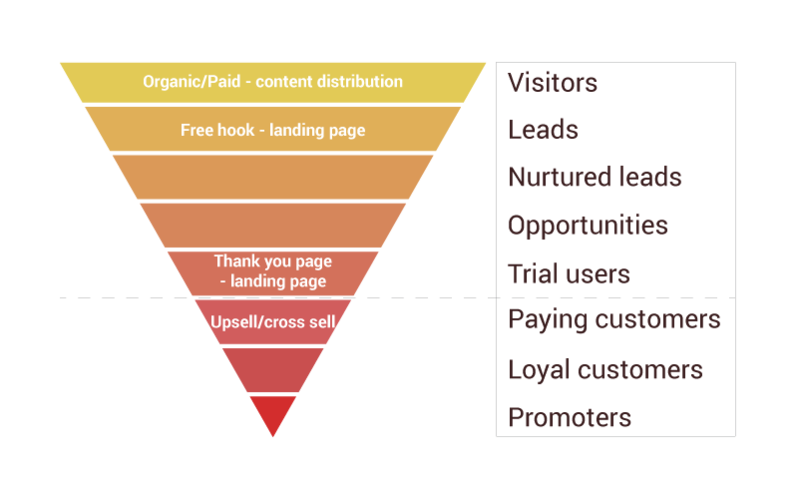 If you build up your funnel the right way, a percentage of your leads will ASK TO BUY FROM YOU. And it is true, really. This is the heart if you want to know how to write an autoresponder series that really works. You have your marketing funnel, you know the needs of your buyer personas and their success milestones and you created the necessary content for them. 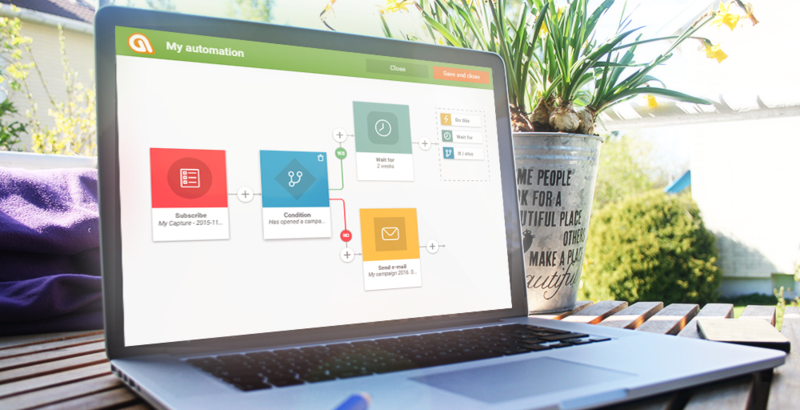 So go into your email automation system and create your own workflows! This example is great to show you how to write an autoresponder series that performs well because it has a “thank you” email and 2 “brand introduction” emails in it. It also segments people according to the action they took. If you don’t want to write these emails from scratch, here is an article that helps you a lot and shows you how to write an autoresponder series that will perform well. Other schools about email copywriting may suggest you write concisely and shortly – you need to test it out for your own industry. So when we talk about behavior-based marketing, we segment people according to their actions. In the example of a lead nurturing workflow above, you can see that if a lead does “A” (actually fills out a form on a landing page), gets emails related to his actions but if a lead does “B”, gets emails related to that action. This is the “Conditions” that are continuously segmenting people according to their behavior. has all of the tags or not. Sender name is the number one reason your leads will open or not your emails. This is why I suggest to always give “brand introduction” email series after welcoming your new prospects! This way they will recognize your brand later on. The second biggest factor is your subject line. Did you know that the best performing subject lines consist of 6-10 words? (It is a survey that was conducted by RetentionScience and published by Sendgrid.) In addition, you should always avoid spammy words like “free”. The third biggest factor is the offer itself. The content of your subject line. If you promise something that doesn’t fit your lead’s need, he won’t open it. I won’t explain it in details. This is why we use behavior-based segmentation, don’t we? Intro paragraph is the small text that can be seen in the inbox before you open the email itself. It has a lower influence on your open rates but if you generate high volume of leads, it can increase your sales. Tags are nothing more than labels for your leads. For example, if a visitor downloads a hook from you just can put a tag with their hook name on it. Let’s say that you haven’t managed to convert a lead to a trial user although you offered a hook, built trust and authority with your articles. It doesn’t mean that this lead doesn’t want to try your trial. It just means that he is not in the right decision stage yet or you just haven’t managed to give them the right contents. Now that you tagged this lead with a hook name, you can offer him another hook! And then another hook! You will always know what he downloaded and you will never offer something that he already downloaded. You won’t burn out your email list but will convert more and more leads day-by-day! In addition, tags are good for labeling your leads whether they moved down in your funnel or not. 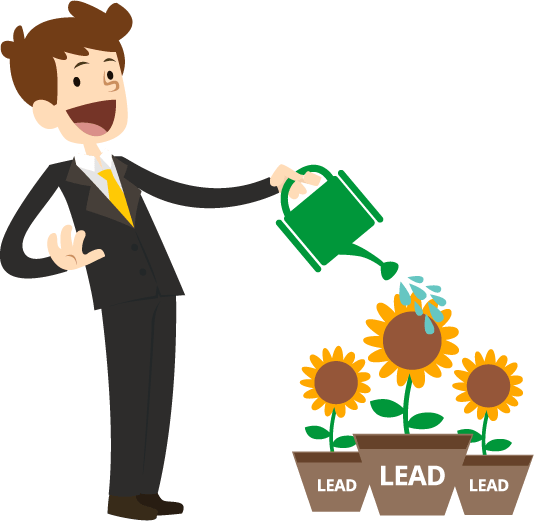 You can put tags on leads that just entered your workflow (“new lead”), that went through lead nurturing (“nurtured leads”), that are highly engaged (“high engaged leads”), low engaged, etc. If you want to know which leads are the most engaged ones (and put a tag on them) or just which leads opened more, clicked more or submitted more form, your can track. This is lead qualification based on their engagement – let’s say, engagement-based segmentation. Great stuff, you can send special offers manually to highly engaged leads or just give them to the sales reps. If you want to start your automated email campaigns that fit every tip I gave you above, you will probably fail. So the secret sauce is a pretty obvious hint. Start step-by-step, focusing only on the current stage. Because autoresponders work well only if you implemented the basics, you know your market well enough (your buyer personas), you have enough traffic. It requires a big effort from you and from your business. I know that. But I promise: if you can set up your automated email system, you will grow much faster! And it will really save you a lot of time, wasted efforts and will truly make you real money. Get started with autoresponders and nurture your leads easily with Automizy! Click to try for Free! As you may know, autoresponders are dead for user onboarding. You need to send targeted messages to your users according to their behavior in your software. Here you can get started with it in 6 steps: automate your user onboarding emails from planning to execution. How to use success milestones as event triggers, how to use API calls for that purpose, how to build your client onboarding emails on it and more. And I show it on an imagined, example software. Just for fun, I called this company “Imaginatory”. Your users have desired end results, and they hope that they will achieve it using your software. Every success milestone is a proof that the product is able to help them reach it. So the more success milestones are accomplished by your user, the higher the chance that he’ll be a client and later on a promoter. This is where product marketing is very useful. Let’s say, that the guys at “Imaginary” found this: if a user accomplishes 2 specific tasks, it is a success milestone. It’s because they started to realize the benefit they can have with it. The first milestone is someone registers to the service, receives a confirmation email and then logs in for the first time. At “Imaginary”, the imagined guys think that if a user from a specific buyer persona does these things, they will have much higher chance to convert him from user to paying client. So it doesn’t matter how fast he reaches this point, they will try to sell the product – product marketing approach is applied here. So after you chose the right events, you have to plan the right messages too. I guess you already have a working, established messaging system – if don’t, you don’t have anything to automate and you should postpone MA implementation. Get back to the product marketing basics! After choosing the user actions as triggers, now the time has come to ask the help of a programmer (if you don’t have the skill for that). The process below shows how I set up the API call for the login success milestone. The same process applies for the rest of the success milestones. Next, you have to enter the source code of your own software. In the video below you can see a source code of the example software. You just have to paste the copied snippet of code to the desired places (in this case to the login code). In addition, you have to do some customization and the process is finished: every time someone clicks on the login button the first time, an API call will be sent to your Automizy account. If you don’t use Automizy, no problem, other systems may support it as well and the process is pretty much the same. In our system, you can have another way to implement API calls that are already combined with tags. This second solution is when you insert the tags in the triggered events themselves. In this case, Automizy automatically adds it to your existing tag group. This way you don’t have to build your workflow in the editor and always add or remove a tag from a contact person after an API call happens. You can simply choose a tag as a trigger to send your client onboarding emails. Therefore your automatic drip campaign will launch if a contact gets one specific or more tags from API calls. The same happens if manual tagging or just from simple automatic tagging happens. Now that you have all your events setup as triggers, build your emails on it. Write your emails and attach them to the right workflow. If your messages work well enough, you will see that there will be users who simply won’t open your client onboarding emails, only a few of them. This is a very bad thing because this way you won’t be able to guide them through your product marketing funnel. Therefore you can setup drip campaigns on your basic, behavior-based emails. For example, after a user creates his “General Form” in our example, he gets the “You’re awesome” email but doesn’t open it. Therefore he won’t know his next logical step. After you started your journey with behavior-based, client onboarding emails, you must not stop. As traffic goes through your workflows, you will always have the chance to continuously improve the conversion rate of your emails. Send your behavior-based onboarding emails with Automizy! Click to try for Free! Product marketing guide is really very helpful. Thank you for sharing this content. It’s my please to inform you about BetaPage it is a startup directory where you can discover, hunt and upvote on various innovative startups as per your choice.